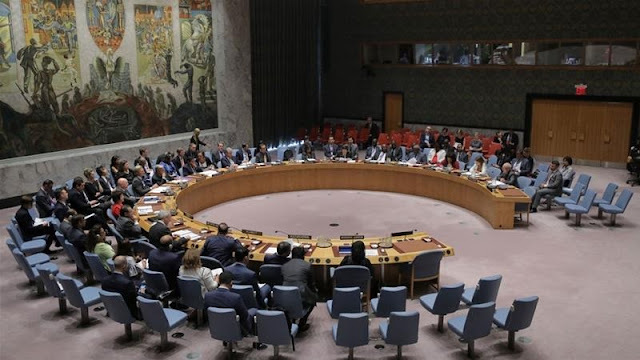 The UN Security Council has extended the mandate for the UNSMIL mission in Libya by another year, until September 15, 2019, but did not endorse a December 10 date for elections that were agreed to in a Paris meeting four months ago. France stuck to its position pushing for elections in Libya by the end of the year on Thursday, a day after Italy and the UN backed government in Tripoli sowed doubts on the electoral calendar, citing a worsening security situation. The council unanimously adopted a British-drafted resolution that called for parliamentary and presidential elections to be held "as soon as possible, provided the necessary security, technical, legislative and political conditions are in place". Four key leaders from Libya had agreed in May to hold the landmark polls on December 10 as part of a French-led plan to stabilise the war-torn North African country, despite ongoing violence and deep divisions. Former colonial power Italy, however, has consistently maintained the North African country is not ready for elections and offered instead to host a national dialogue conference in Rome later this year. Jonathan Cohen, US Deputy Ambassador to the UN, warned during a council meeting last week that "imposing false deadlines will backfire" and lead to worse divisions inside Libya. On Wednesday, Prime Minister Fayez Serraj, who had agreed to the roadmap, said conditions in his country were too unstable to hold elections. Those comments were echoed by Italy's Foreign Minister Enzo Moavero Milanesi who was quoted by a state news agency as saying the date should be reconsidered. "We are in disagreement with the position of the French government, which, as was decided in Paris, says the elections in Libya must be held on December 10," he said. In response to those doubts, France's foreign ministry said it was convinced of the need for a political solution based on the Paris agreements. "France will continue with its partners to support the efforts of the Libyan authorities and the United Nations to ensure the continuation of the political process and in particular the conditions for holding elections by the end of the year," spokeswoman Agnes von der Muhll told reporters in a daily briefing. Italy has close relations with the authorities in Tripoli and is the only Western country to have reopened its embassy in the Libyan capital, home to Serraj's UN-backed transitional government.